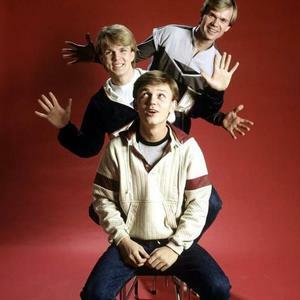 Herreys was a Swedish pop group, consisting of the three Mormon brothers Per Herrey (born August 9, 1958), Richard Herrey (born August 19, 1964) and Louis Herrey (born November 3, 1966). They won the Sopot International Song Festival in 1985 with "Sommarparty p? Stranden", and before that the Eurovision Song Contest 1984 with the song "Diggi-Loo Diggi-Ley". At the time Herreys won Eurovision, the brothers were living and working as singers in the United States. As a result, all three of the Herrey brothers are fluent in English as well as Swedish. In the Swedish lyrics of the song, written by Britt Lindeborg, a man relates the story of how he finds a pair of golden shoes that will make him surpass any obstacle. Herreys continued to record and tour for a few years, but had no hits of the same magnitude as the Eurovision winner. Louis Herrey decided he needed to serve a mission for the Church of Jesus Christ of Latter Day Saints and with his brothers' permission he left for two years leading to the breakup of The Herreys. The three brothers reunited to perform "Diggi-Loo Diggi-Ley" in the intermission of one of the Swedish Melodifestivalen semifinals of 2002. Richard made an appearance at Congratulations, a 50th anniversary concert, held in Copenhagen, Denmark in October 2005. In February 2006 Richard released his first solo album, "Jag e Kung". After having held the contest last in 1973, Luxembourg played the host for the 1984 Eurovision Song Contest. The total number of participants was 19, one country less than in the preceding year as Greece decided not to enter a song. The contest also clashed with Israel's Rememberance Day, so the country wasn't present in Luxembourg either. Ireland returned to the contest though, finishing second. The Irish song was written by former and future Eurovision winner, Johnny Logan, under his real name Sean Sherrard. The song Terminal 3 was performed by Linda Martin, who was going to win the Eurovision Song Contest in 1992 with another Johnny Logan song, Why Me?. Sweden unexpectedly won the contest with the song Diggi-Loo Diggi-Ley performed by the group consisting of three brother called Herrey's. The Swedish brothers convinced the European juries with a spectacular choreography of their song and also because of wearing golden boots on stage. The song became a hit in lots of European territories, but is still rediculed today in English-speaking countries due to its title. The Italian entry I Treni Di Tozeur by Alice and Franco Battiato also became a smash hit in Europe despite the fact that it only came fifth. The host country, Luxembourg, had problems finding a suitable venue. In the end, RTL decided to hold the contest in the tiny Th? ?tre Municipal and as a consequence, only VIPs, press and members of each country's delegation were allowed in. The presenter of the show, Desir?e Nosbusch, was only 19 years old when she presented the contest, but she is nowadays seen as one of the best hosts ever in the history of the Eurovision Song Contest.